Last week was a pretty good one. 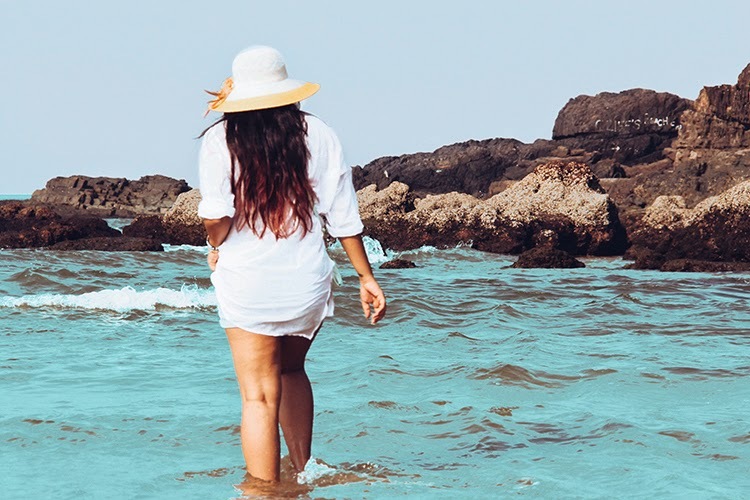 Mom and myself went on a little trip to Goa, which most of you might already know, thanks to the power on Instagram. I've been to Goa countless times and for many different occasions as well. 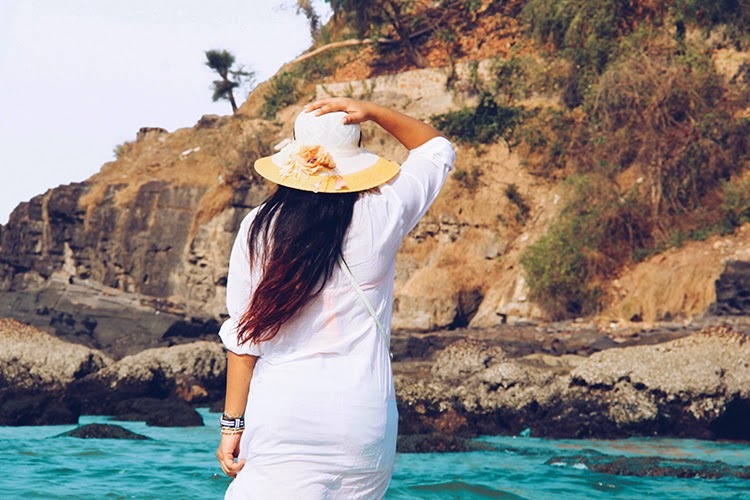 But the thing I've noticed about a lot of people my age, or even those who belong to the same decade as I do, they all believe Goa is a place to go wild and crazy, behaviorally and as well as when it comes to dressing up! 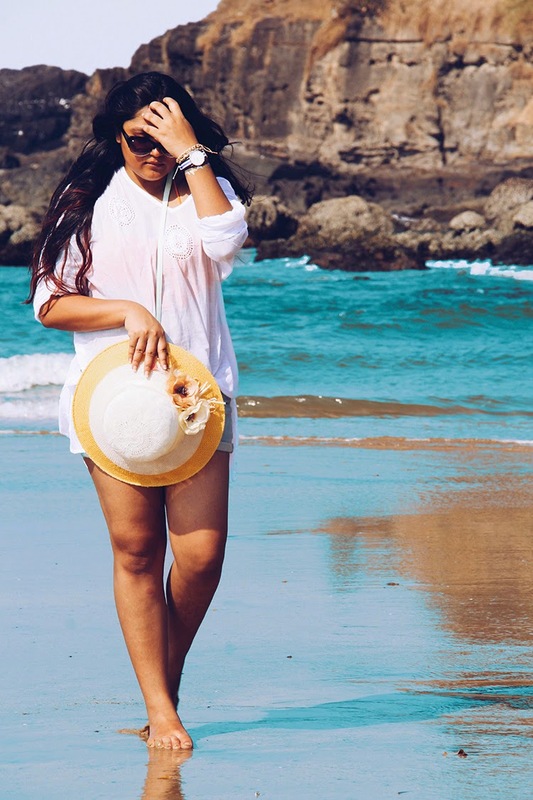 So many people believe that you can wear anything in Goa. No one will care. 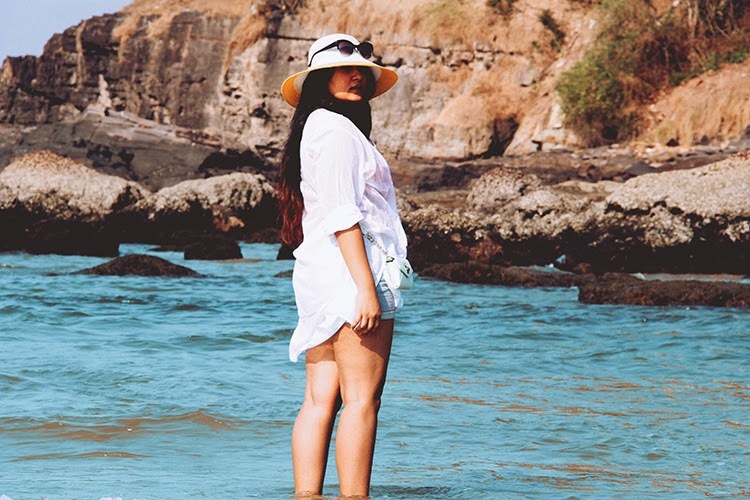 I myself used to say I was only comfortable wearing a two-piece bathing suit in Goa, as compared to any other place in this country. 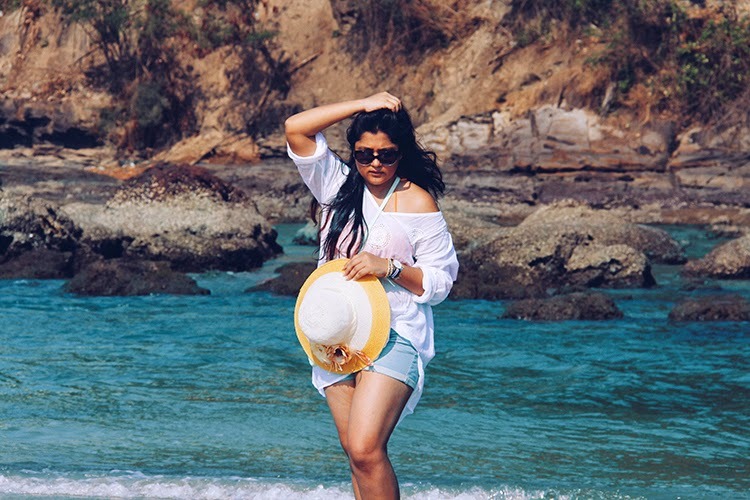 While you might have the freedom to wear what you want to in Goa, there needs to be a bit of caution as well. 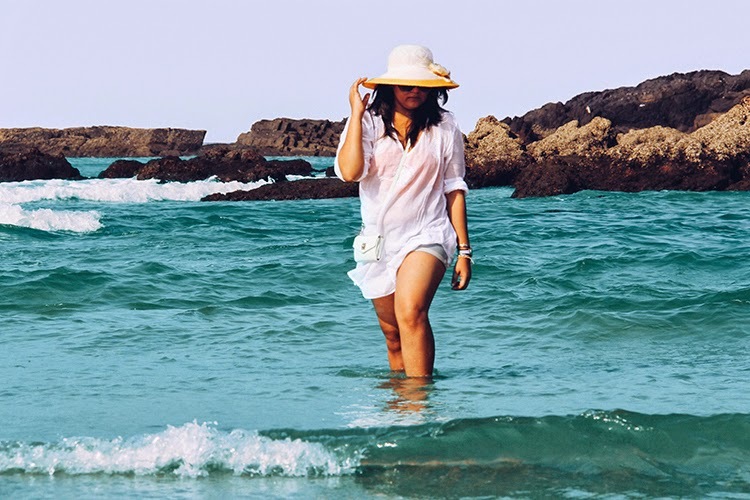 When I went to the beach, I saw scores of women dressed in the most atrocious attires, and no, I don't mean skimpy, but completely irrelevant to what one usually wears to a beach. While I'm not saying every woman has to be in a bathing suit, there has to be a line drawn, and garments like leather, skinny jeans, etc are just bad bad choices! I even spotted a girl wearing a pretty skater dress, which again was so out of place at the beach. And let's not forget the boys. Men, if you're reading, please, boxers are not swimwear. In fact they should not be seen! Please keep them under your pants. If you need to wear shorts, you can buy shorts. They're not too hard to find! So since I'm a bit uptight about what should be worn where, most of my vacation was spent trying to avoid eye contact with the kind of people I mentioned above. Also since most people cannot seem to understand beach wear, I decided to do a beach outfit. Mom and I picked everything that I'm wearing from the market. 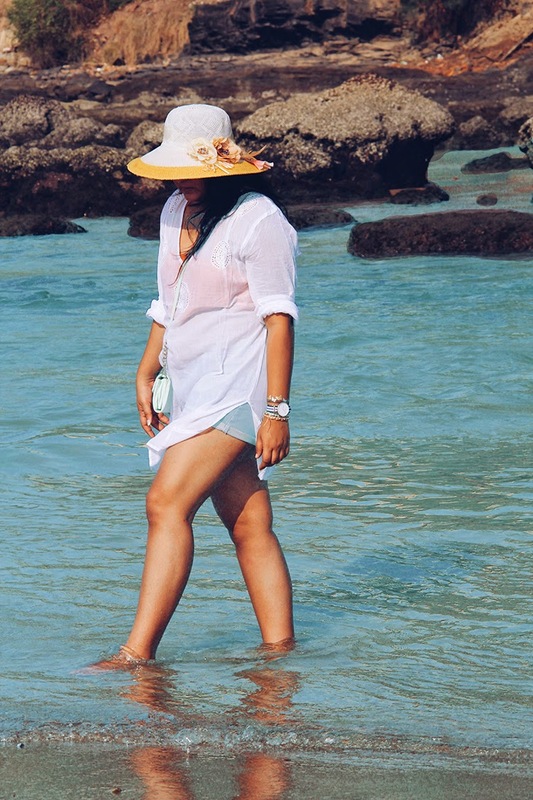 My outfit is a mix of lounging around on the beach, from sitting in a shack to actually going into the water for a dip. Hence I picked an over-sized white kurta and a pair of faded denim shorts. Under, I wore an orange fringed bikini. I added a hat, for the most obvious reasons. For most of the day, I was in the kurta and shorts and when I wanted to go for a swim, I just had to take them off. And that's what I've always been doing when I generally go to the beach, it seems pretty basic right? Also, post-swimming, the over-sized kurta is just the best cover-up. 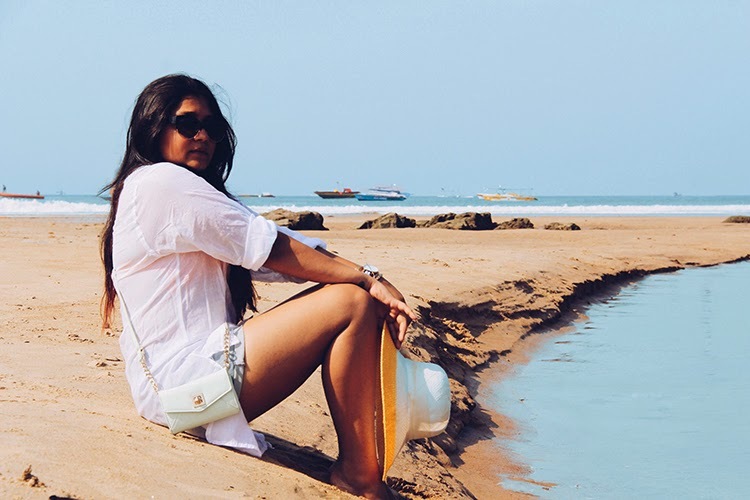 White kurta (350/-), denims shorts (400/-), orange fringe bikini (500/-) and hat (130/-): Calangute | Watch: c/o Daniel Wellington | Wallet sling and bracelets: c/o Aldo UAE. The white top looks so pretty on you! I miss summer hahaha I need to go to the bech soon, nice pics!! !